Featuring an adorable print, Baby Noomie’s ice cream print clothing for kids can’t get any cuter. 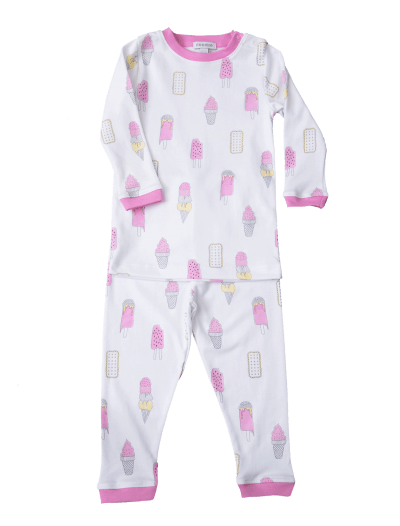 Our ice cream baby clothes collection includes snap footies for infants and long-sleeve two-piece PJs for younger kids. What makes our ice cream print clothing for kids so special is Pima cotton. It’s the finest, softest material out there, but it also has strong fibers that keep up with your little one, no matter what they’re up to. Who doesn’t love a little dessert? 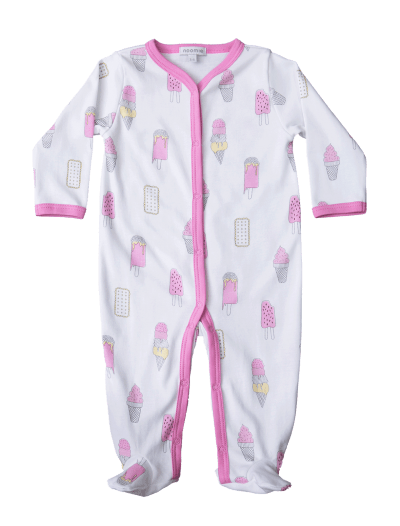 Give your little one the softest, sweetest apparel—order from our selection of ice cream baby clothes today.